The Kyocera TASKalfa 6551ci redefines Colour Multifunction Systems by delivering the power, superior image quality, flexibility and ultra-reliability that businesses demand, all with a bold and innovative new design. With fast output speeds of 65ppm in black and 65ppm in colour, and innovative scanning and sending features to boost workplace productivity, the TASKalfa 6551ci will become a critical component of your document workflow. 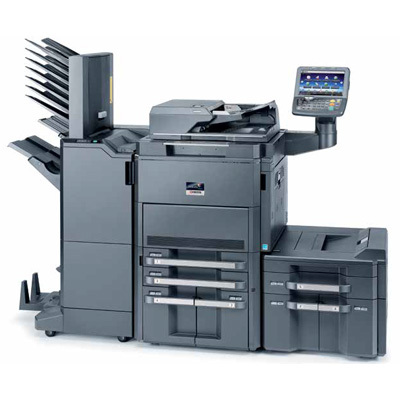 All of this combined with Kyocera’s unique long-life technology, proven colour technology and consistent image quality, ensures that the Kyocera TASKalfa 6551ci Colour Multifunction System will provide you with superior document handling the first time, every time. That’s the TASKalfa 6551ci’s number one priority. Posted in Kyocera Copiers, Kyocera Dealers Perth, Kyocera Photocopiers Perth, Kyocera Printer Perth, Kyocera Printers, Kyocera Scanners, Photocopier Kyocera Perth, Printers Kyocera Perth, Products. The Kyocera TASKalfa 1800 is designed for outstanding ease of use, and will assist to speed up your office workflow. From the design of the cassette grip all the way up to the intuitive layout of the control panel, this compact copier is easy to operate, while delivering the professional quality that your business demands. The Kyocera TASKalfa 1800 incorporates extremely durable components that guarantee a efficient and reliable operation to meet the demanding requirements of busy office environments. this device provides long hardware maintenance cycles that keep your overall operating costs low and productivity high – whilst ensuring a minimum impact on the environment. Posted in A3/A4 Mono Multifunctional, double page copier perth, Kyocera Copiers, Kyocera Photocopiers Perth, Kyocera Printer Perth, Kyocera Printers, Mono Copiers, office copier perth, Photocopier Kyocera Perth, Printers Kyocera Perth, Products. With up to 65 pages per minute, this multifunction device offers high speed processing for all your printout and copy requirements. The intuitive controls and large capacity hard disk drives ensures that it keeps up that fast pace for all of your document management needs. And thanks to the long-life components and the low energy consumption, the TASKalfa 6501i is highly economical. Whether you use it as a departmental multifunctional device or in a centralised printing department, the power and durability will keep the work flowing smoothly in any high-volume environment. 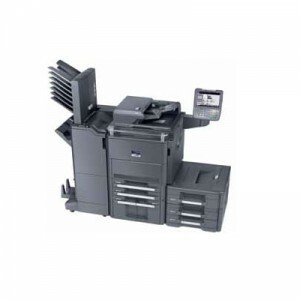 Posted in A3/A4 Mono Multifunctional, Mono Copiers, Mono Multifunctional, Photocopier Kyocera Perth, Products. CDM provide a range of Kyocera Copiers from compact, basic models for small businesses and home offices. As well as multifunctional and larger models more suited for bigger corporations dealing with high usage. At the time of installation, CDM’s quality range of Kyocera copiers are backed by full product training. CDM’s specialist Customer Training Officers will instruct all personnel in normal operating procedures, simple maintenance such as toner replacement and how to avoid difficulties and rectify jams. 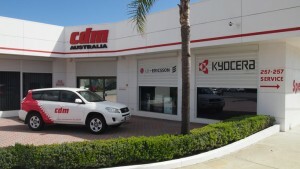 View CDM’s range of Kyocera Copiers Perth here. 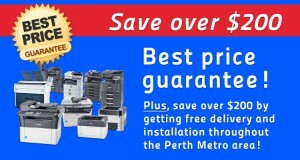 Posted in Kyocera Photocopiers Perth, Photocopier Kyocera Perth. Kyocera Photocopiers are very easy to integrate in any office setup and will save you money while getting tasks done. You will love these photocopiers because apart from being able to effectively get the job done. These are machines that will not require too many replacement consumables during their lifespan. This also means that their accumulated costs will be much less compared to other brands of photocopiers. 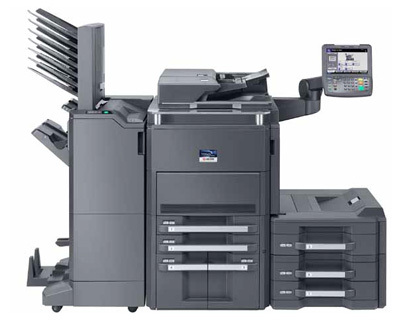 If you want a photocopier that will perform to optimum, Kyocera Printers are again the best because they have been proven to be dependable and can easily handle very heavy workloads. 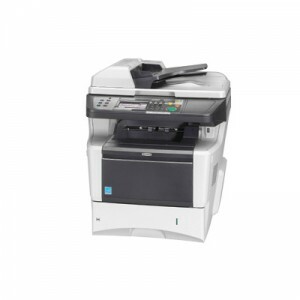 These photocopiers are very solid and are available at a very affordable price. They are very simple machines with very simple functions and their ease of use makes them quite attractive to many. Kyocera Photocopiers have a comprehensive range of operations that work with TASKalfa which is a technology that works to produce the best of quality functions. With the TASKalfa technology, it is easy to get every function of the machines the first time. Anyone who wants to operate the machines does not have to try figuring out or repeat until they know because of this technology. It is easy to get everything just once and this makes the machines very interactive and user friendly. One major benefit of choosing Kyocera Photocopiers over other Kyocera photocopiers is the fact that they are very environmentally friendly. Everybody today is talking about the depletion of the ozone layer and its effect on our world. If you are very concerned about the future of the environment, then these photocopiers will be your machine of choice. Because they are very efficient and because of how their consumables are used means that not many refills are used. This is very good for the environment because the machines are eco-friendly. The drum that the machines contain has been designed in a way that they reduce the extent to which consumables are used in these machines and this makes them good for the environment. These machines are one of the highest selling for a number of reasons. One of the machines that the Kyocera Company manufactures is a Kyocera multi-function machine that has the ability to not only copy but will also fax, scan, and copy documents across a network. This machine also has email functionality and this makes it very good for business people. There is no denying that these machines are great value for businesses. They have very wonderful cost benefits, great functionality and are a great return on anyone’s investment. When you purchase these machines, it helps to know that you will also enjoy free delivery and free installation through out the Perth Metro area. Contact us for Kyocera Photocopiers Specials. Posted in Kyocera Copiers, Kyocera Dealers Perth, Kyocera delivery Perth, Kyocera Fax, Kyocera installation Perth, Kyocera Printer Perth, Kyocera Printers, Photocopier Kyocera Perth, Printers Kyocera Perth. 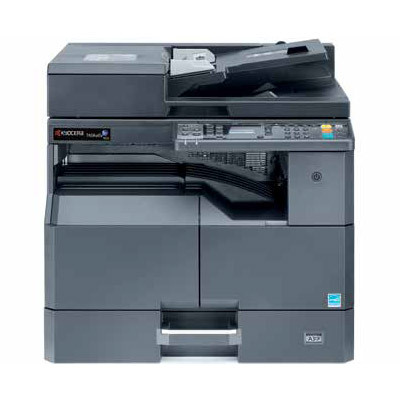 Kyocera’s Laser Fax Systems are engineered using the latest Super G3 technology. Kyocera facsimiles will deliver optimum performance, quality and versatility while saving space and reducing energy costs. Kyocera fax models have network connectivity functions allowing for ease of linking and managing equipment on the network. View CDM’s range of Kyocera Facsimiles here. Posted in Kyocera Printer Perth, Photocopier Kyocera Perth, Printers Kyocera Perth. CDM offers a range of Kyocera photocopiers from compact, basic models to multifunctional and larger models suitable for bigger corporations dealing with a higher usage. CDM’s quality range of Kyocera photocopiers are backed by full product training at the time of installation. CDM’s specialist Customer Training Officers will instruct all personnel in normal operating procedures, simple maintenance such as toner replacement and how to rectify jams and avoid difficulties. 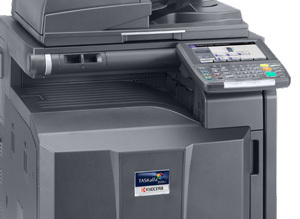 View CDM’s range of Kyocera Photocopiers here. Good quality, easy-to-use office devices are essential pieces of equipment for all businesses, so CDM sources the best devices from top international supplier, Kyocera Perth, to meet all your printing, copying, scanning, and faxing requirements. Kyocera offers ideal printing solutions for individual needs, work groups, and larger organisational departments. You can find out more about the Kyocera range of printers and what they have to offer here. Kyocera has an advanced range of black & white and colour MFDs that incorporate copier, printer, scanner, and facsimile technology using the same network connectivity. Kyocera’s MFD range provides the lowest copy cost which adds up to real savings. Kyocera technology is equipped to handle a range of file systems and formatting options, including scanning to email, folders, files, TIFF and PDF. Many models feature network connectivity functions for easy linking of equipment, monitoring of toner usage and paper supply and other administrator options. Using advanced Kyocera ceramic technology, CDM can deliver a system with our total cost of ownership (TCO) and long life components, which mean that even high volume print jobs can be completed with a minimum spend and maintenance. CDM offers a range of Kyocera photocopiers from compact, basic models to multifunctional and larger models suitable for bigger corporations dealing with a higher usage. Find out more about Kyocera Photocopiers and what they have to offer here. 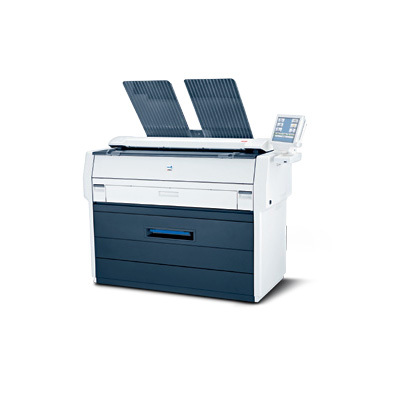 Kyocera’s Laser Fax Systems are engineered using the latest Super G3 technology. Find out more about Kyocera Fax functionality here. 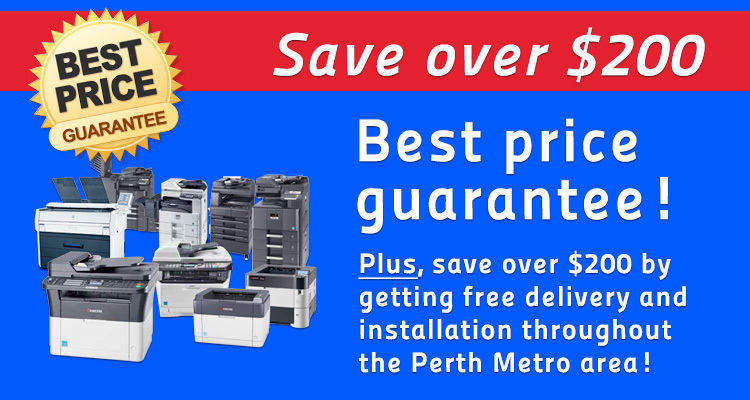 Posted in Kyocera Dealers Perth, Kyocera Photocopiers Perth, Kyocera Printer Perth, Photocopier Kyocera Perth, Printers Kyocera Perth. 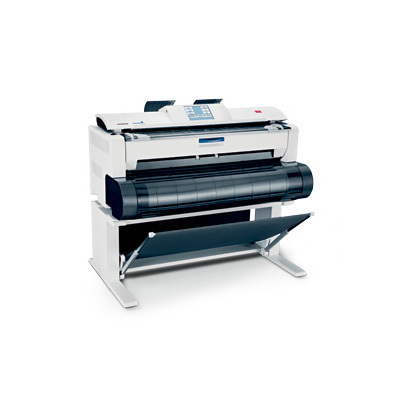 The Kyocera TASKalfa 4820W: A Print / Copy / Scan device with a print speed of 4.8 metres per minute (wide-format). The TASKalfa 4820w incorporates extremely durable components that ensures efficient and reliable operation. The TASKalfa 4820w is a powerful multifunction device capable of copying, printing and colour scanning large-sized documents up to A0. Its scanning speed and superior image quality will satisfy even the most demanding designers, architects, builders and civil engineers. With its high-productivity and ease-of-operation, this multifunction device will improve the large format document management in your office. Posted in Kyocera Photocopiers Perth, Kyocera Printer Perth, Kyocera Printers, Photocopier Kyocera Perth, Printers Kyocera Perth, Products, Wide Format. The Kyocera TASKalfa 2420w is a flexible applicable large-format multifunctional, engineered to suit the most demanding designers, architects, builders and engineers. Fast warm-up, as well as fast printing and copying deliver efficient, time-saving productivity. All copying, printing and scanning functions, are easy to access and operate via the wide-screen, colour touch panel. With its exceptional output quality, this large-format device will meet even the most challenging document management needs. The TASKalfa 2420w incorporates extremely durable components that guarantee efficient and reliable operation. The system is designed to meet the demanding requirements of busy office environments. It provides effective productivity and maximises uptime, whilst ensuring a minimum impact on the environment. Posted in Kyocera Copiers, Kyocera Photocopiers Perth, Kyocera Printer Perth, Kyocera Printers, Kyocera Scanners, Photocopier Kyocera Perth, Printers Kyocera Perth, Products, Wide Format.